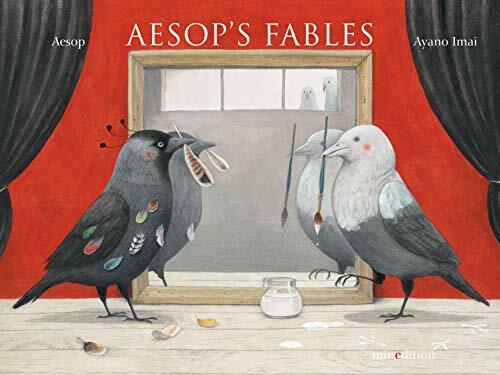 This striking new interpretation of the classic, with its delightful, quirky illustrations, brings the moral tales of Aesop to life for young readersMore than a dozen of Aesop s fables are brought to dazzling new light in this exquisite edition by Ayano Imai. Including fables such as The Kid and the Wolf, The Ox and the Frog, and The Fox and the Grapes, among others, the tales are each given a unique charm through the superb illustrations." "Each [tale] a stunner, with the slyest little details bedecking the edges of the bottom pages. I love them all but it s "The Lion and the Mouse" here that has my heart. I don t know why no other illustrator has ever considering trapping not just the lion but other animals and creatures in nets, but Imai has and it s brilliant." Elizabeth Bird, A Fuse #8 Production, "School Library Journal""
"The unusual [calendar-like] format is a creative way to present these moralistic tales....will take readers beyond single-volume treatments. An assortment of fables fabulously illustrated and strikingly presented." "Kirkus Reviews""
"Elegant, spare prose and stunning, imaginative illustrations breathe new life into old tales in this collection of Aesop s fables... the pictures are definitely worth the price of admission." Bulletin of the Center for Children's Books"
Ayano Imai is the illustrator of "The 108th Sheep," "Chester," "Puss in Boots," and "The Town Mouse and Country Mouse." She studied Japanese painting, with a focus on mineral pigment painting, at Musashino Art University in Tokyo.